...with the right regulatory incentives in place, ‘dirty jobs’ can be made clean. 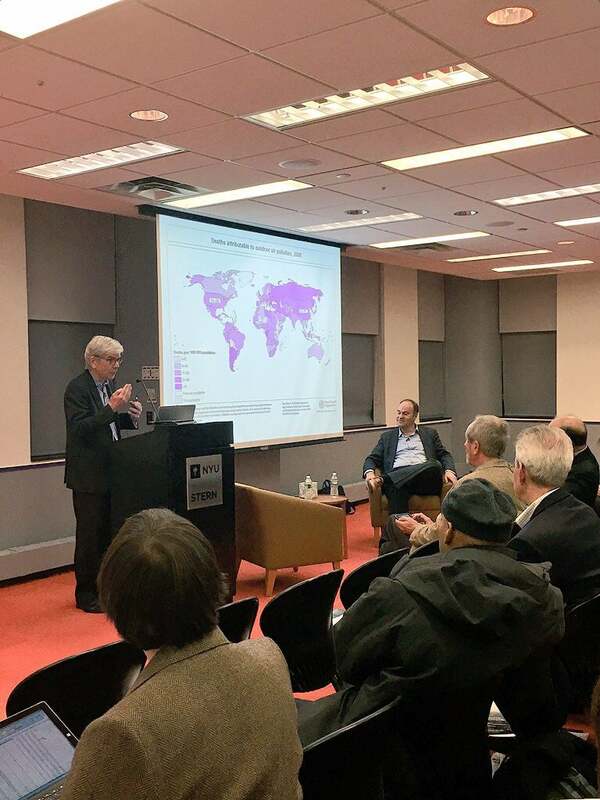 As a part of the Conversations on Urbanization series held by the NYU Stern Urbanization Project, Economics Professor Paul Romer, Director of the Urbanization Project and the NYU Marron Institute of Urban Management, spoke with Matthew Kahn, Visiting Professor at USC and author of Blue Skies over Beijing, in a public presentation on December 9. 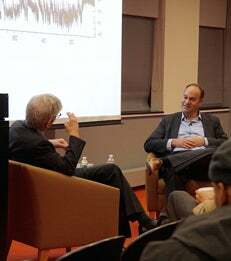 Romer and Kahn discussed recent news reports on Beijing’s first-ever red alert for hazardous smog. They focused on urbanization and environmental dynamics in Chinese cities as well as China’s reluctance to move toward natural gas. Kahn explained that, though most of China’s pollution comes from burning coal, he anticipates that the people of China will begin to demand clearer skies as incomes continue to rise. Kahn argued that, China has typically prioritized the productivity of its manufacturing sector over public health, in part because of a perception that cleaner technologies would eliminate jobs. Romer suggested that, “with the right regulatory incentives in place, ‘dirty jobs’ can be made clean.” Kahn concurred, noting that China’s cities are showing signs of concern about air quality because officials understand that air pollution is an impediment to the in-migration of the high-skilled Chinese workers that will drive any continued urban prosperity. Kahn is optimistic about China’s urban future, using Los Angeles as an example of an urban environment that has balanced growth with cleaner technologies. Kahn believes that recent income gains and rising levels of human capital will translate into clearer skies in China’s cities without compromising sustained economic growth.